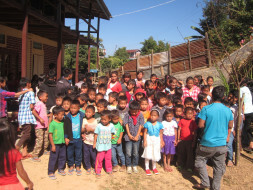 The Phelong Students' Union is planning to set up a Learning Center for the poor school children of Phelong Village. We need to buy books and teaching materials such as Computer sets, furniture and other related kits for students like pen, notebook, geometry instrument boxes. At the same time, we would like to sponsor their school fees for academic bright students. We are at the initial stage of setting up this learning center for the first time and the Union is not sound financially to start the targeted project, so we are seeking your charitable supports. The next academic session will began by Feb 2018 so their admission to school is another challenge for the Union. 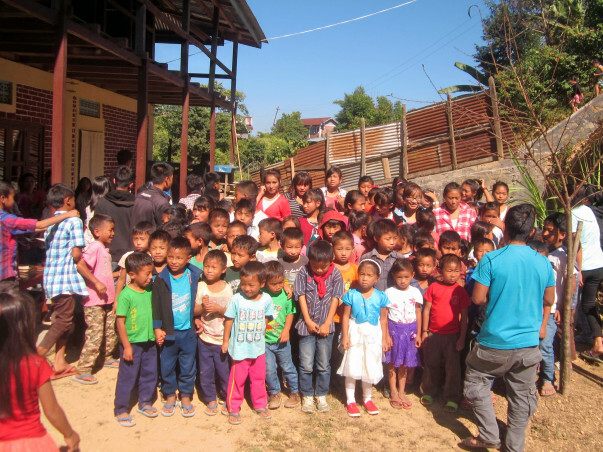 Many want to go to school but the bottleneck of being poor is a big challenge. Your helping hand will bring education to the remotest part of the world. We thank you for being with us in combating the poor education. 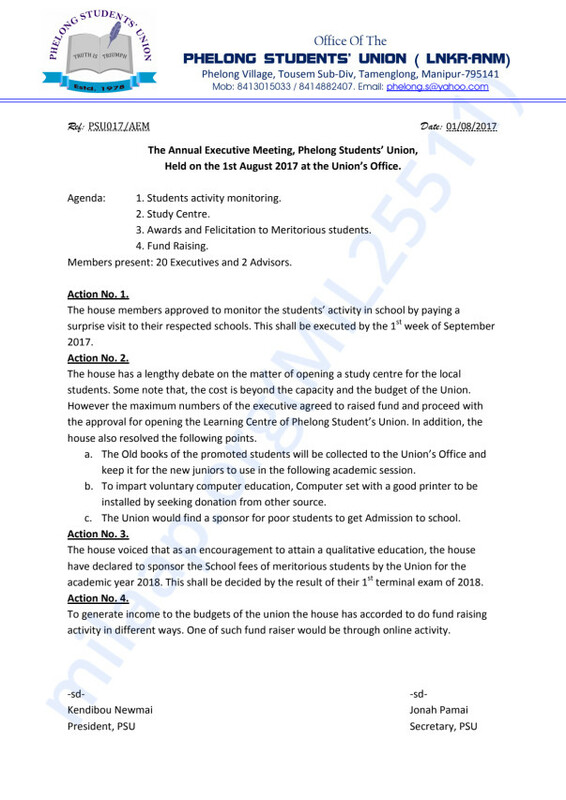 Phelong Students' Union Meeting Extracts. Students have just completed their annual exam for the year 2017. The next session will begin by February 2018. So before the new session begins, we would like to arrange a proper study centre for the poor kids. Also, we want to help the kids to do their admission to the school and to get them Books and Uniforms. 27 Nov 2017 Tamenglong District HQs.